Category: Baskets. Tags: basket, decorative basket, fair trade, gift, Gone Rural, handcrafted, social enterprise, Swaziland, traditional handicraft. 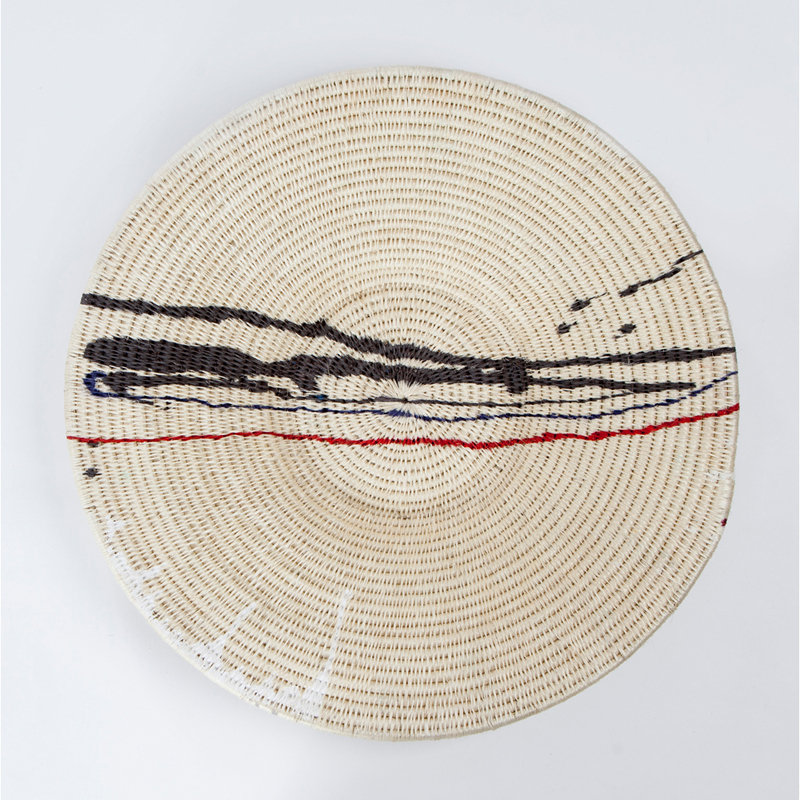 This large, one of a kind, decorative basket has been handwoven and hand painted in Swaziland by women from social enterprise Gone Rural. It would look great on a kitchen island to display fruit or to display books and magazines on a coffee table or on the floor. It’s perfect on the wall too as a contemporary piece of art. Gone Rural is a social enterprise founded in the 1970s, which works with over 750 artisans in 13 groups across Swaziland – from young women to gogos (grandmothers) and often with three generations of women from one family. Gone Rural provides its artisans with self-employed, home-based work, empowering them with a sustainable income, which allows them to fulfil their traditional duties and look after their families.